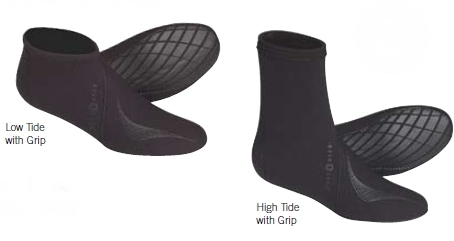 The 3mm Echozip High Top Booties from Deep See are made of a Seeflex Nylon II neoprene, with a flexible vulcanized rubber sole, and non-corrosive zipper. 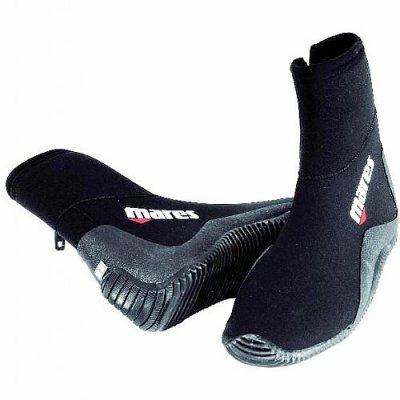 Made for varying water temperatures. 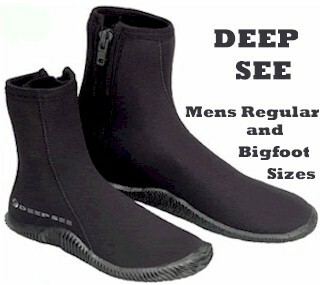 Bigfoot sizes are 5mm. 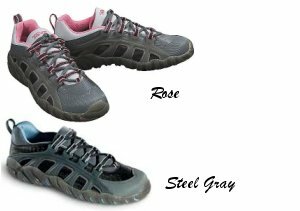 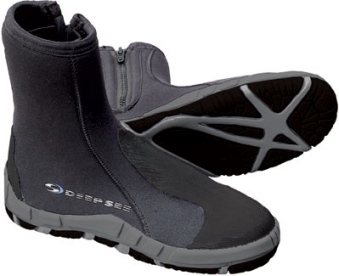 The Deep See Reefzip Bootie is neoprene with terry plush inside, with only two seams, molded sole and non-corrosive zipper. 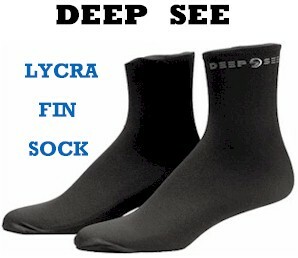 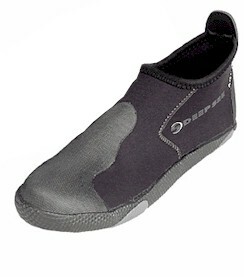 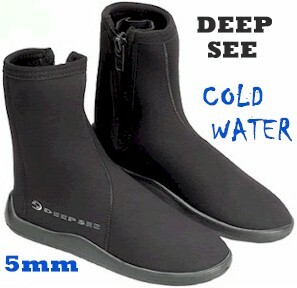 The Reefzip Bootie is 5mm for cold water temperatures. 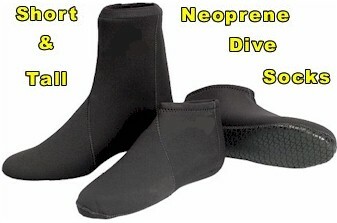 2mm ankle boot: light weight, perfect for traveling and warm water diving. 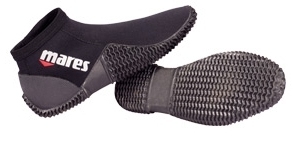 Includes a rubber grip sole.